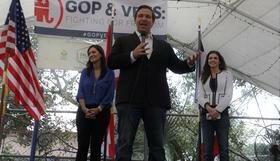 Republican gubernatorial candidate Ron DeSantis has released his plan for Florida’s economy. The former congressman bills himself as an enemy of taxes, as state Democrats attack him for his economic record in Washington. In the outline of DeSantis’ platform, he touts the state’s economic numbers as trending positive but says he sees areas for improvement. “I will continue to have low-tax policies and recruit, and maintain businesses – that means more jobs, it means higher-paying jobs,” DeSantis told media at a campaign stop in Tampa this week. To help existing businesses and attract new companies, DeSantis says he will do a “complete review” of taxes that could make doing business costly. He promises to veto any legislation seeking to raise taxes in the state, and backs Amendment 5, which makes a Legislative supermajority necessary for tax increases. DeSantis has used those ideas to contrast himself with his competition, Tallahassee Mayor Andrew Gillum. “My opponent is running on a 40 percent tax increase, which I think would be devastating for jobs and our economic momentum,” DeSantis said on the campaign trail. Gillum’s economic plan includes a more than 2 percent hike on the state’s corporate income tax, to funnel that money back into education. His campaign says the move could generate $1 billion. DeSantis’ plan proposes cutting the corporate income tax. Gillum’s plan has been fodder for recent attack ads, like one from the Republican Governor’s association. “Gillum proposes a billion-dollar tax hike. Gillum proposes a higher tax rate than New York. He already raised property taxes in Tallahassee,” the ad’s narrator says. Gene Sperling, former economic advisor to presidents Bill Clinton and Barack Obama, defended Gillum’s plan on a conference call Friday hosted by the Florida Democratic Party. The plan Sperling is referencing is the 2013 tax reform bill DeSantis backed called The Fair Tax. The bill proposed setting a national sales tax at 23 percent and doing away with income, employment and estate taxes. “The bill repeals the taxes that are specifically dedicated to Social Security and Medicare, and replaces them with a single tax that wouldn’t be near enough to pay for our commitments to seniors,” Hanlon said. DeSantis says he also plans to slash regulation for small businesses, and bolster the state’s manufacturing jobs by helping with site selection for plants. He asserts that will make Florida more desirable for corporations. The Republican’s plan also emphasizes protection of the environment. DeSantis’ campaign calls him a “Teddy Roosevelt Republican” who aims to grow tourism and agriculture. Regarding education’s role in the economy, DeSantis stresses support for State university and college systems in beefing up workforce. 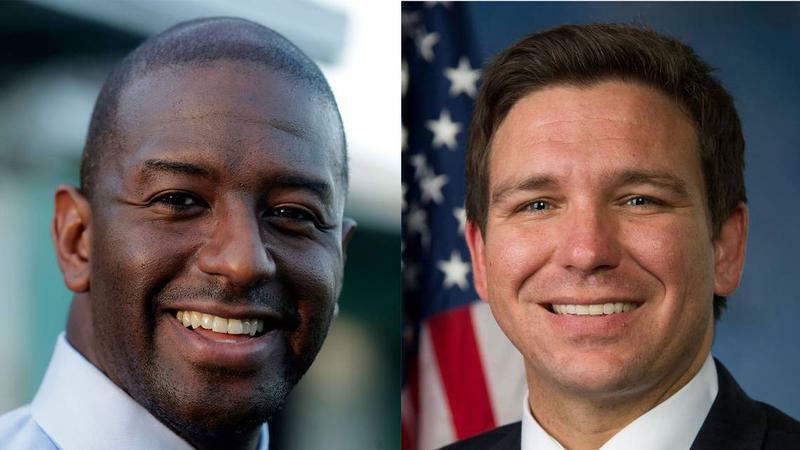 Longtime Republican strategist Mac Stipanovich says the Florida governor’s race between Democrat Andrew Gillum and Republican Ron DeSantis is shaping up to be an echo of the 2016 presidential race. End Common Core. Pay new teachers $50,000 a year. These education platforms are likely to be politically effective for the major party gubernatorial candidates — Republican Ron DeSantis and Democrat Andrew Gillum, respectively. But actually implementing them would be more complicated than voters might glean from candidates' stump speeches.